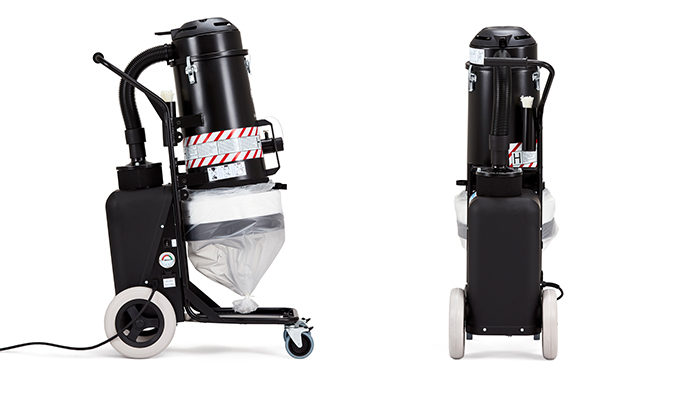 The HTC D10 is a light and versatile dust extractor, best suited for handheld grinders and general clean-up. It's equipped with the HEPA H13 filter and has a pressure gauge that indicates when the filter is clogged. It’s also equipped with Longopac® system for safe dust handling. The international standard for testing dust and water extractors (IEC-60335-2-69, EN-60335-2-69) encompasses three classes – L for low, M for medium and H for high – with the H class being the most stringent (do not confuse this “H” with the one in HEPA H13). HTC D10, D20 and D30 are H classified. HEPA (High Efficiency Particulate Air) is a highly efficient particle filter for air. The stringent HEPA standard (EN 1822-1) is divided into different levels (E10 to H14) depending on the filter efficiency. HTC uses level H13, which can separate up to 99.95% of the particles in sizes 0.15 to 0.30 μm. These particle sizes are the most difficult to separate – both larger and smaller particles are easier to catch in a filter. Besides this, HTC tests each individual filter prior to delivery to ensure that they comply with the HEPA H13 standard. The cyclone separates the largest particles, which go to the Longopac bags. The prefilter (conical filter) handles the finer dust that is not separated in the whirler. Lastly, the air passes through a certified HEPA H13 filter that separates 99.95% of the smallest and most dangerous particles. Find out when it's time to clean or change filters. Easily and effectively clean the primary filter to maintain high airflow. 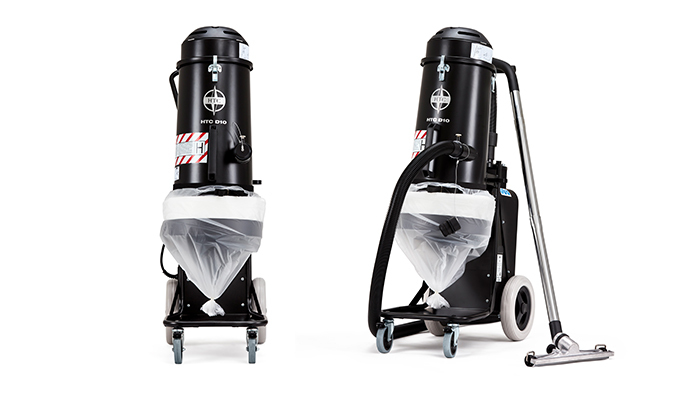 Dust extractors effectively separate the dust into three steps with a whirler, primary filter and HEPA H13 filter. Handle dust easily and safely in Longopac® collection bags.